Spring Lee Caravan Centre Allonby CA15 6QF, Tel.01900 881331. Wild Rose Par Ormside, Appleby, CA16 6EJ, Tel. 017683 51077. New Ing Farm, Shap, Nr. Penrith, Cumbria, CA10 3LX t: 01228 598782. Thornthwaite Farm Woodland, Broughton in Furness, LA20 6DF, Tel.01229 716340. Inglenook Caravan Park Lamplugh, CA14 4SH, Tel. 01946 861240. Wyndham Caravan Park Cockermouth Tel. 01900 822571. Crake Valley Holiday Park Blawith, Coniston LA12 8DL. Tel. 01229 885203. Scarr Head Caravans Torver, Coniston LA21 8BP.Tel.015394 41576. Bulman Strands Caravan Site Crook, Kendal LA8 8LP. Tel. 015395 68239. Pound Farm Caravan Site Crook, Kendal LA8 8JZ. Home Farm Caravan Site Thornhill, Egremont. Tel. CA22 2SQ. Eskdale Camping and Caravanning Club Site - visit www.campingandcaravanningclub.co.uk/eskdale to find out more. Greaves Hall Caravan Park Barber Green, Grange over Sands LA11 6HU Tel. 015395 36329. Old Park Wood Caravans Holker, Cark LA11 7PP. Scotgate Holiday Park Braithwaite, Keswick CA12 5TF Tel. 017687 78343. National Trust campsite at Great Langdale Tel: 015394 32733. 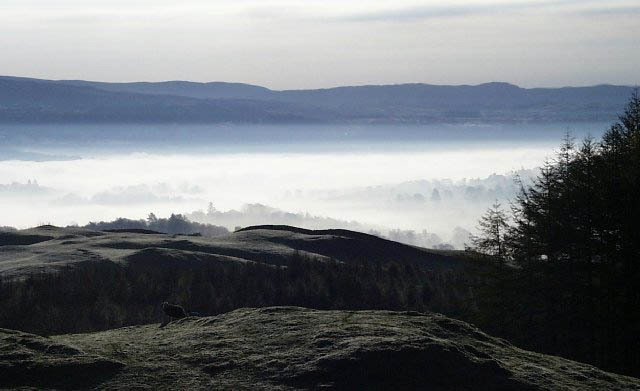 Neaum Crag Loughrigg, Ambleside LA22 9HG Tel. 015394 33221. Cross Dormont camping Pooley Bridge, Ullswater tel. 01768486537. Wasdale Head National Trust Campsite 015394 32733. While out under canvas...try some wild mushrooms! In 2006 the Camping and Carvanning Club merged with the Foresty Commission camp sites. For more information about Forest Holidays and to view the sites available please visit www.forestholidays.co.uk or contact: 0845 130 8223 (cabins) or 0845 130 8224 (campsites). For further information about The Camping and Caravanning Club and the sites and services available, please click on www.campingandcaravanningclub.co.uk or call 0845 130 7632.